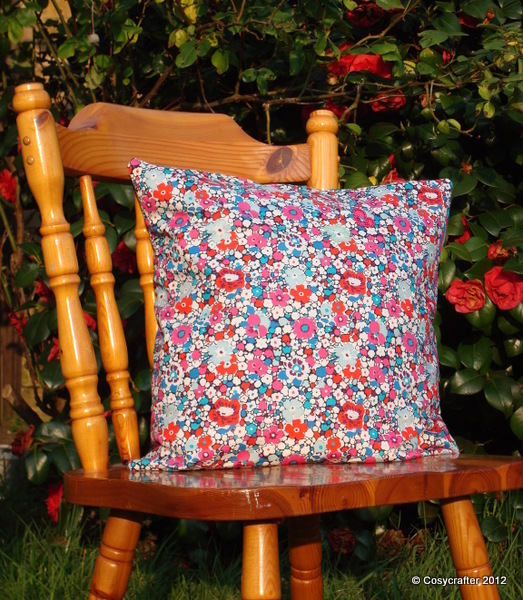 Yes, those decorative pillows that go on sofas, beds, floors and anywhere else you fancy. Since I’m a beginner I thought I best start off small and simple. I recently ordered a bulk load of cushion pads and have been using my basket of fabric collected from the remnants section in C & H, although I’m considering using old clothing/vintage fabrics in future. The first one was a gift for the lovely Gem from GeeWHIZZoriginals. 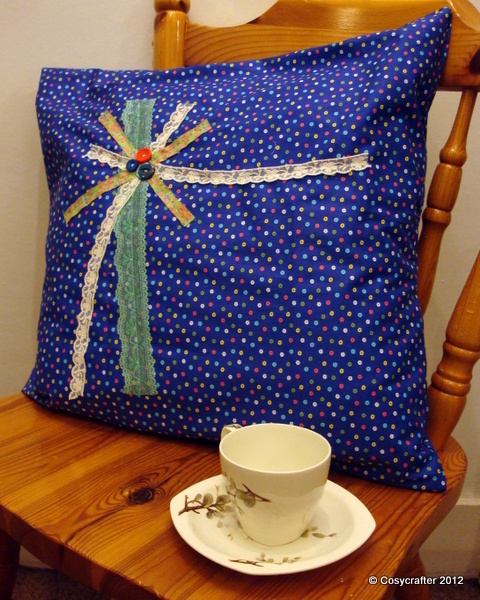 I collected some fabric scraps and ribbons and stitched them on the front, then added some buttons. For the next two I just left the material as is. 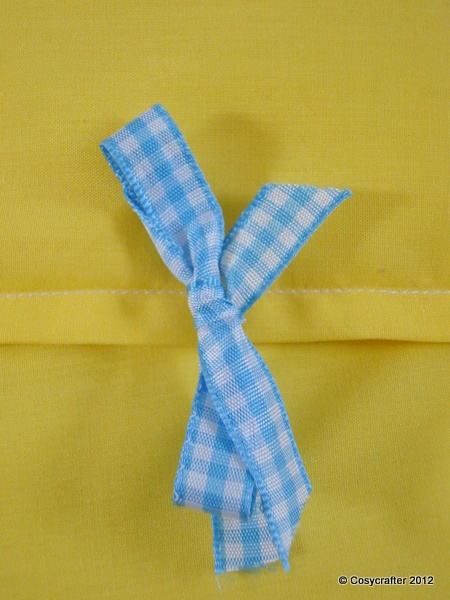 I’ve gone for the strategy of using ribbons to close the material although I’ll investigate buttons and zips in future. 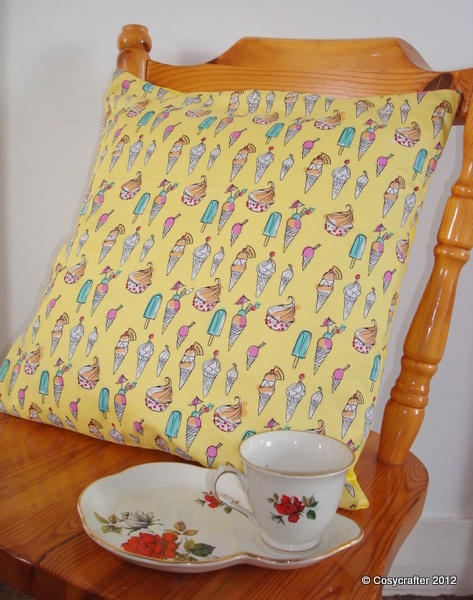 Posted in Cushions and tagged craft, cushions, fabric, handmade, ribbons, sewing. Bookmark the permalink.